Simple, clean, and blazingly fast PDF reader and annotator. 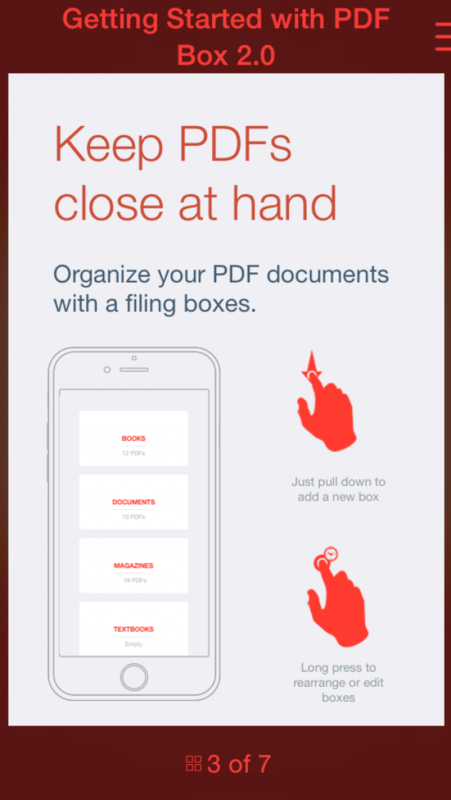 Keep PDFs in filing boxes to organize and find documents easier. Make it more colorful by color-coding tags. Rename or easily select and delete multiple documents. 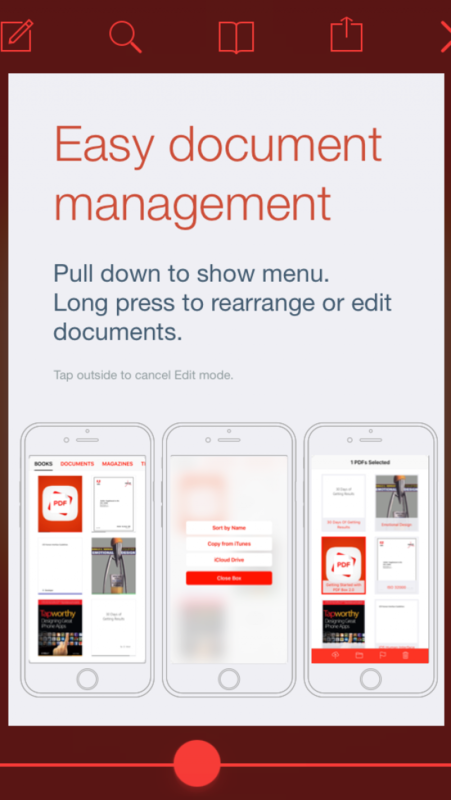 Tap the "Open In..." button to open the document in PDF Box from any other app like Mail, Safari, etc. You can also use iTunes file sharing to transfer PDFs directly from your Mac to your iPhone or iPad via USB cable or download/upload from/to iCloud Drive. Made with definitive PSPDFKit framework it opens large files, supports full text search, handles PDF links and outlines, saves bookmarks, zoom in on text or images for a closer view (50x), opens password protected documents. Mark important things in books or magazines, annotate and comment on documents using the highlight, strikethrough, and underline tools. 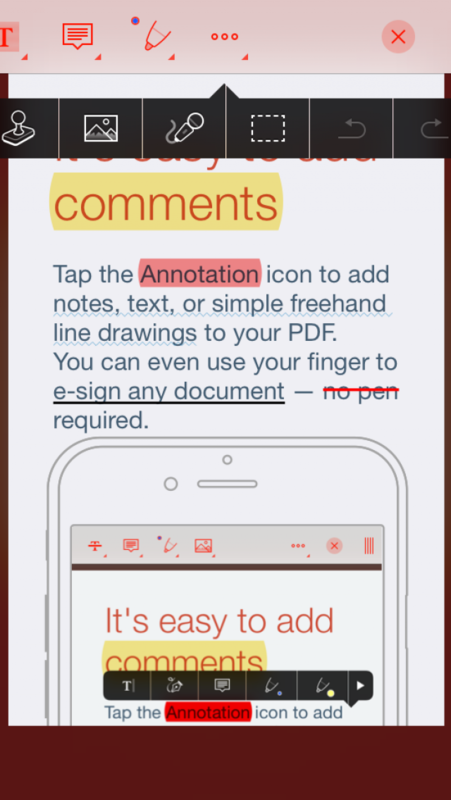 Easily mark up PDF content with the freehand drawing tool, and easily undo mistakes. Add comments anywhere in your PDF with sticky notes and with the text tool. Moreover, you can even use your finger to e-sign any document — no pen required. 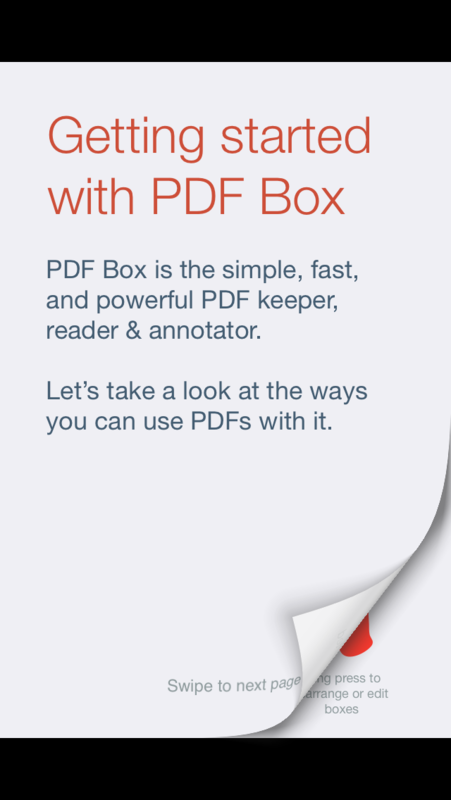 Annotations made with PDF Box are saved within the document in accordance with the PDF format specification and compatible with Apple Preview and Adobe Acrobat. At the same time this lets you share annotated files with friends and co-workers. Print wirelessly with AirPrint, including your comments if needed. 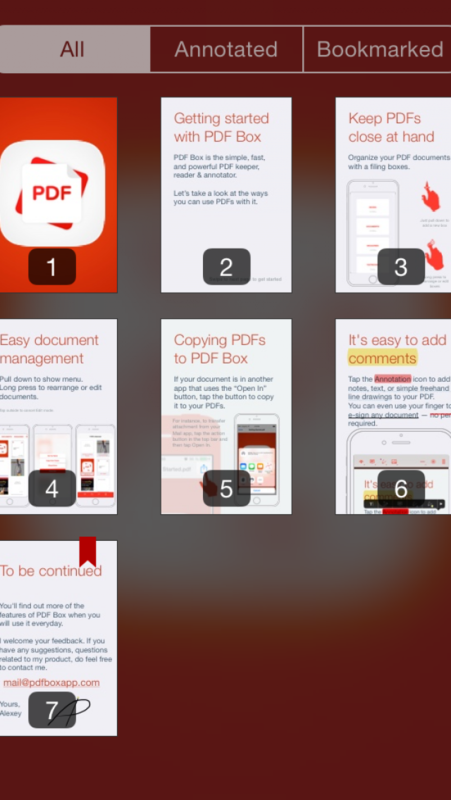 PDF Box is the good place for your docs.